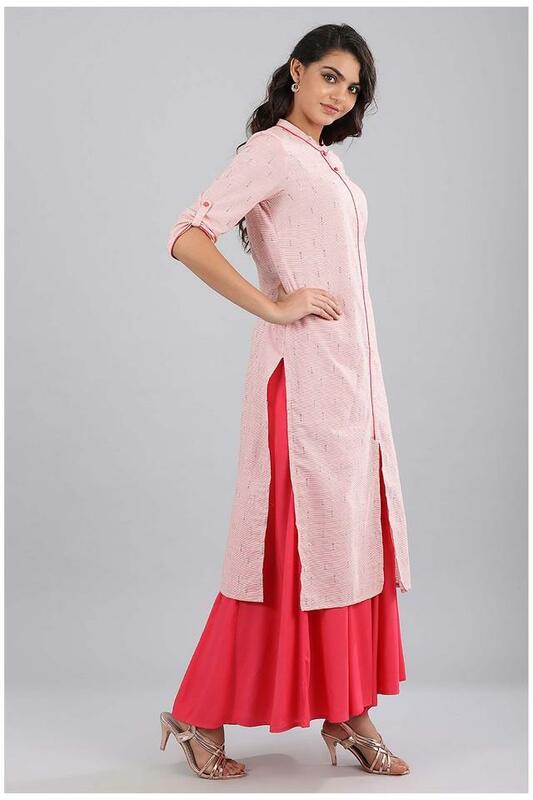 Pep up your style quotient by wearing this kurta from Aurelia. It has a button placket at the front that makes it convenient to wear. Besides, it features a print pattern that is the main attraction. It also comes with a mandarin neck, which adds to the design. Made of a fine quality fabric, this kurta will be a suitable pick for you to wear on a casual occasion. It will go well with a pair of leggings in a contrasting shade and wedge sandals.